Grandview of Roxborough is a new age-restricted community located in Littleton, Colorado. Upon completion, this 55+ community will consist of 91 condos developed by Live Well Properties. The abundant amenities will include a community clubhouse, full-time activities director, 24-hour security service and concierge. Cats and dogs are allowed, and the community will feature a dog park. 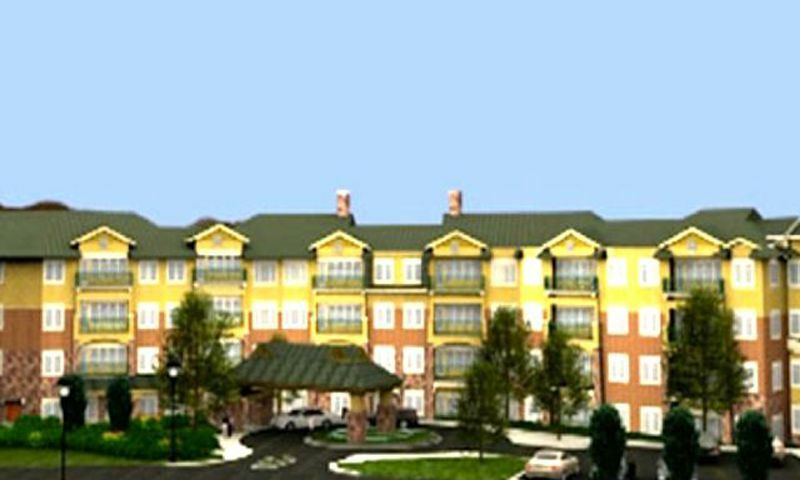 At the proposed clubhouse, residents of Grandview of Roxborough will enjoy a variety of health-oriented and social amenities. The spa and fitness center is planned to have state-of-the-art workout equipment, whirlpools, a hair salon, and spa services like massages, facials and manicures. Residents will be able to enjoy a beverage in the game room, socialize over a game of billiards, or dine with friends and family at the Fireside Lounge. Residents will also have use of private dining rooms or a club room complete with kitchen. The grounds will include a grand patio with outdoor fireplace and outdoor gas grills, ideal for picnics and holiday celebrations. Upon completion, this 55+ condo community will have 91 units in a four-story building with outdoor parking or underground parking with purchase. Condos at Grandview of Roxborough feature kitchens with high-end appliances, bathrooms that feel like personal retreats and a comfortable living area with scenic vistas. Homebuyers can select a new condo that has one to two bedrooms, one to two bathrooms, and a private balcony. These units offer between 719 and 1,208 square feet in five different floor plans. Services include water, sewer, wireless internet, basic cable TV, air conditioning, electricity and natural gas with individually controlled heating. With its location in the foothills within a few feet of Roxborough State Park and other recreational areas, Grandview of Roxborough offers a mountain resort-type lifestyle. Here buyers can maintain the comfortable lifestyle they are accustomed to, or even upgrade their lives. The community services are designed to make life easier, and opportunities and programs exist to enhance all-around living. Outdoor enthusiasts and nature lovers will find many ways to stay active. In addition, a lifestyle director will fill social calendars with trips, concerts, cultural events, parties and other activities. Residents will also be able to expand their knowledge via classes and lectures by taking advantage of the community's "Learning for Life" partnership with local organizations, colleges and universities. Situated adjacent to the Roxborough State Park, Grandview of Roxborough in Littleton offers the best of both worlds: Outdoor recreational activities like fishing, hiking and golf as well as proximity to shops, restaurants and medical facilities. The closest golf course, Arrowhead Golf Club, is within half a mile of the community. Additional outdoor options include the Sharptail Ridge Open Space, Botanic Gardens at Chatfield, Waterton Canyon and Chatfield State Park and Reservoir, all within an eight mile radius. Small boutiques, as well as major retail department stores are all within a half hour of the community. Grandview at Roxborough is a wonderful 55+ community with low-maintenace condos in Littleton, Colorado. There are plenty of activities available in Grandview of Roxborough. Here is a sample of some of the clubs, activities and classes offered here. Condos at Grandview of Roxborough feature kitchens with high-end appliances, bathrooms that feel like personal retreats and a comfortable living area with scenic vistas. Homebuyers can select a new condo that has one to two bedrooms, one to two bathrooms, and a private balcony. These units offer between 719 and 1,208 square feet in five different floor plans. Upon completion, this 55+ condo community will have 91 units in a four-story building with outdoor parking or underground parking with purchase. 55places.com is not affiliated with the developer(s) or homeowners association of Grandview of Roxborough. The information you submit is distributed to a 55places.com Partner Agent, who is a licensed real estate agent. The information regarding Grandview of Roxborough has not been verified or approved by the developer or homeowners association. Please verify all information prior to purchasing. 55places.com is not responsible for any errors regarding the information displayed on this website.